The only thing that hinders Gmail's growth is the fact it's still an invitation-only service (except in the US and few other countries). PC World informs that, as of today, Australian and New Zealand residents can get a Gmail account without invitation. "As we prepare to broaden availability, we have decided to launch these efforts in Australia and New Zealand first," said a Google Australia spokesperson. 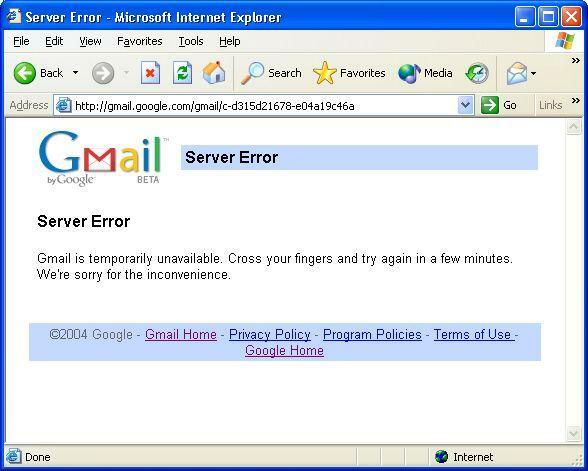 The Google representative said that Gmail will be out of beta when "strong internal metrics" will be met. 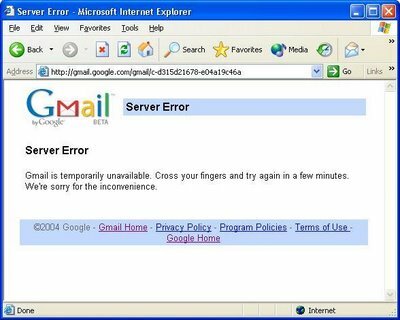 Those who use Gmail know that there are days when Gmail is not accessible or is very slow, so there are still problem with scalability. Highly recommended for SMEs etc where staff are using personal gmail instead of work mail accounts because they like gmail better. I think the whole live thing is just a copy of google. I mean having everything togother and simple is a well known characteristic of google. If only I could sync my google calendars with my w800i easily, life would be better! The calendar/mail integration is really good. So I just have everything forwarded to my gmail account. If we could do proper send-as that would be great. I think google should keep its invitational style.It prevents other users from creating waste email accounts. At least, those who get invited are active people on the internet. windows live is just as you said, just microsoft attempting to copy google. it's pathetic that microsoft cant be more innovative. omg a software company copying other software companies? OMG HAX! /CRy! What's Next For Google Video? Are Search Engines Biased Towards Popular Sites? Gmail Pictures Used For Face Recognition? Private Albums In Picasa Web? Why Is YouTube More Popular Than Google Video? Why Is Gmail Still In Beta? When Will You Run Out Of Gmail Storage Space?